I don’t believe that ADHD (attention deficit hyperactivity disorder) is a problem. Instead, I view it as a personality trait. Anyone I’ve ever met who has been diagnosed with ADHD has been wildly clever, imaginative, innovative, and successful. In fact, long before ADHD was a diagnosable condition, I knew people who fit the description, and they used the condition’s traits to their advantage. That being said, sometimes, ADHD can be a manifestation of a separate mental disorder. There are a growing number of doctors who share my opinion and an increasing body of research to back it up. 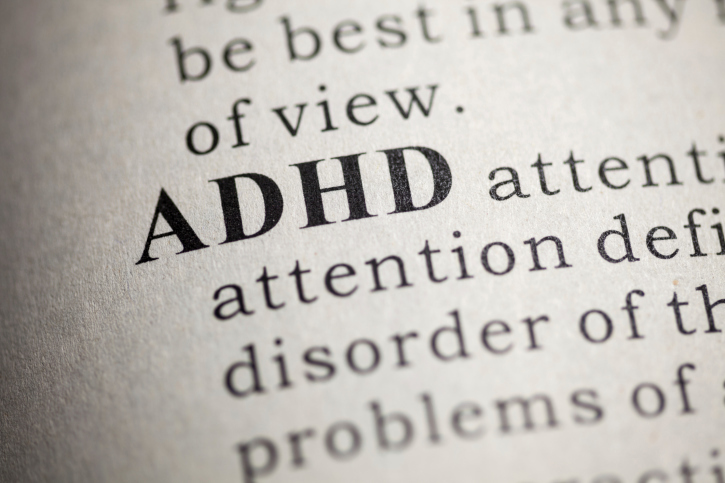 It appears as though diagnosing children with ADHD is a way to drug them up, limit their creativity and personality, and make them fall in line. Adults, however, don’t have to be “in line” and can use their personality to their advantage. In adults, there seems to be a relatively high correlation between anxiety disorders and ADHD. In fact, the Anxiety and Depression Association of America reports that 50% of adults with ADHD also suffer from an anxiety disorder. Anxiety disorders are known to limit a person’s ability to function and can create problems in their daily life. And although ADHD can be beneficial and manageable in your adult years, as you venture into your older years, it can be more difficult to live with. The creativity, freedom, and risk of your younger days don’t always age well. Forgetfulness and inattention can be more costly as you get older, so you want to take some extra precautions. Anxiety can add to some of these difficulties. If you suffer from anxiety, there are things you can do. Now I always opt for natural remedies first, but that doesn’t mean I’m against medication. If you try these natural suggestions and they don’t seem to help, consult your doctor and insurance provider about possible options. You’ve been through a lot in your life, and remembering this when you’re feeling anxious is a great way to calm yourself down. You’ve likely got a list of accomplishments and situations when you said, “That wasn’t that bad,” that you can call upon. Use the past as a sort of reassurance to help control your anxiety. You can also remove yourself from a situation that’s giving you anxiety by taking a moment to refocus. Stepping outside, changing a conversation, or thinking about something to calm you and take you to a comfortable mental space are all things that can work to help calm nerves. I’m also a firm believer in talking things out. If you’re feeling anxious, pull somebody whom you trust aside and talk about it. Explain how you feel and why you feel that way. Talking about it can really relieve the pressure and show you that you’re likely making a bigger deal out of something than you should be! Lastly, try to prevent any onset of anxiety by keeping your spaces neat and your calendar organized. Assign spaces to important items, such as keys, and be sure to place them in their proper space when you’re done using them. You can also create a to-do list to keep your priorities in check and make sure you’re not rushing to complete some last-minute task; I find the best time to make these lists are in the morning, to plan my day ahead, and in the evening, to be sure I don’t forget anything I need to do first-thing in the morning. Finally, you may find yourself overwhelmed with things to remember throughout the day; the best way to keep your mind calm is to get that list out of your head! Whenever possible, keep a pen and paper handy to write down any distracting thoughts you can return to later or create a memo on your phone. Living with adult ADHD and anxiety doesn’t have to be a burden; you just need to take the proper steps to help manage and minimize your symptoms. Saul, R., “Doctor: ADHD Does Not Exist,” Time web site, March 14, 2014; http://time.com/25370/doctor-adhd-does-not-exist/, last accessed May 15, 2014. “Adult ADHD,” Anxiety and Depression Association of America web site; http://www.adaa.org/understanding-anxiety/related-illnesses/other-related-conditions/adult-adhd, last accessed May 15, 2014.